I Hear My People Singing shines a light on a small but historic black neighborhood at the heart of one of the most elite and internationally renowned Ivy League towns-Princeton, New Jersey. The vivid first-person accounts of more than fifty black residents detail aspects of African American life throughout the twentieth century. Their stories show that the roots of Princeton's black community are as deeply intertwined with the town and university as they are with the history of the United States, the legacies of slavery, and the nation's current conversations on race. 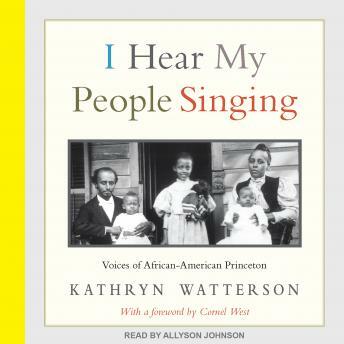 Based on an oral history collaboration with residents of the Witherspoon-Jackson neighborhood and Princeton undergraduates and their professor, Kathryn Watterson, the book features African American residents' candid views about Jim Crow segregation, the mixed blessings of school integration, World Wars I and II, and civil rights struggles. I Hear My People Singing personalizes the struggles and injustices faced by generations of black Princetonians and highlights their remarkable achievements.